Lindsay Lohan had the chance to miss jail time if she accepted a plea deal for lockdown rehabilitation if she had not fired her lawyer who was headed to the courthouse to file the plea deal with the court, according to TMZ. Lohan is being prosecuted by the Santa Monica City Attorney after she reportedly lied to police officers following her car crash in June on Pacific Coast Highway. 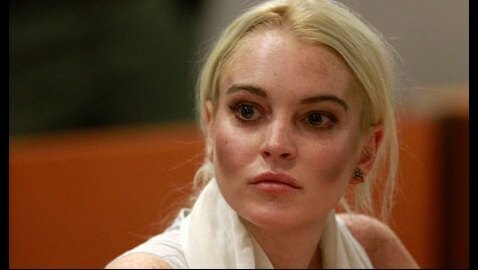 The prosecutor was willing to keep Lohan from going to jail if she agreed to check herself into ‘lockdown rehab’ for at least six months. The lawyer for Lohan, Shawn Holley, has been able to keep Lohan out of jail so far. Holley was making her way to court on Monday to meet with the prosecutor and the judge presiding over the case to reach a deal. On top of this, Lohan is facing jail time for violating parole in the jewelry heist case because she reportedly lied to police her car crash. TMZ learned that the judge might have ended both of the cases against her if she checked into rehab. Holley did not make it to the court because Lohan fired her and then hired a lawyer from New York who happened to be suspended from practicing law back in the 1990s for five years. Supposedly Lohan wants Holley back on her side now.